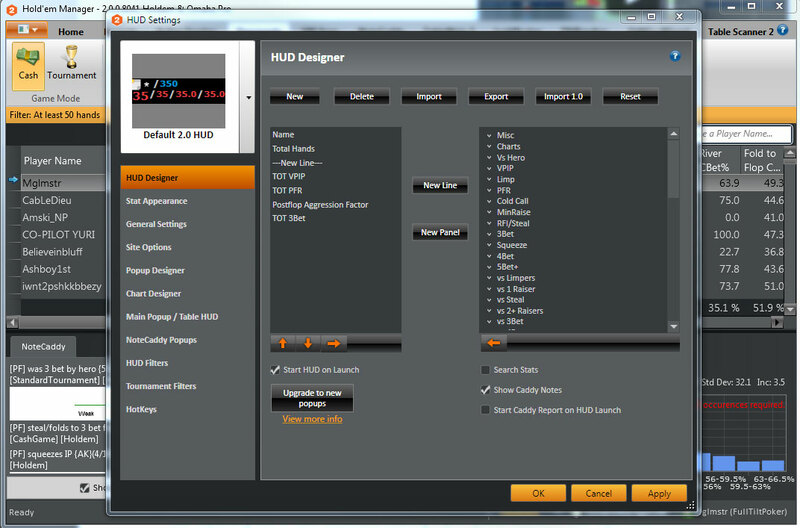 Review of the Best Free Poker HUDs On The Market. These are an essential tool in modern online poker. Allowing users’ to keep track of the action and stats of opponents with little effort when playing multiple table, a Heads up display can help identify your opponents’ at a glance. 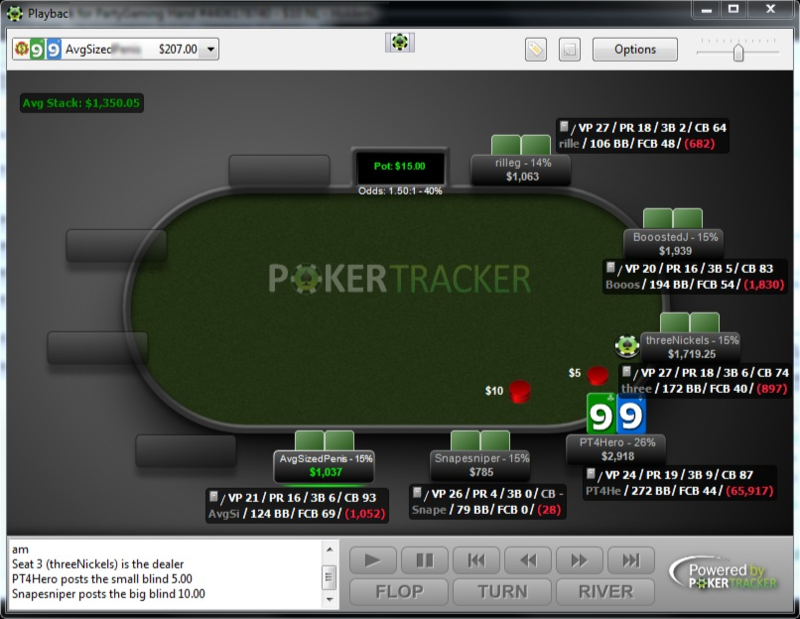 A poker HUD is an essential tool in modern online poker. Allowing users’ to keep track of the action and stats of opponents with little effort when playing multiple table, a Heads Up Display can help identify your opponents’ at a glance. This article gives a rundown of the top 5 Poker HUDs and is completely unbiased - At PokerVIP we are serious about poker and improving your game. No affiliate links are used below and the writer has no allegiance to any specific software mentioned below. Price: Free for basic version or $5.99 per month for Jivaro Premium. Jivaro is the new kid on the block and developed by an Icelandic company with over 20 members of staff. 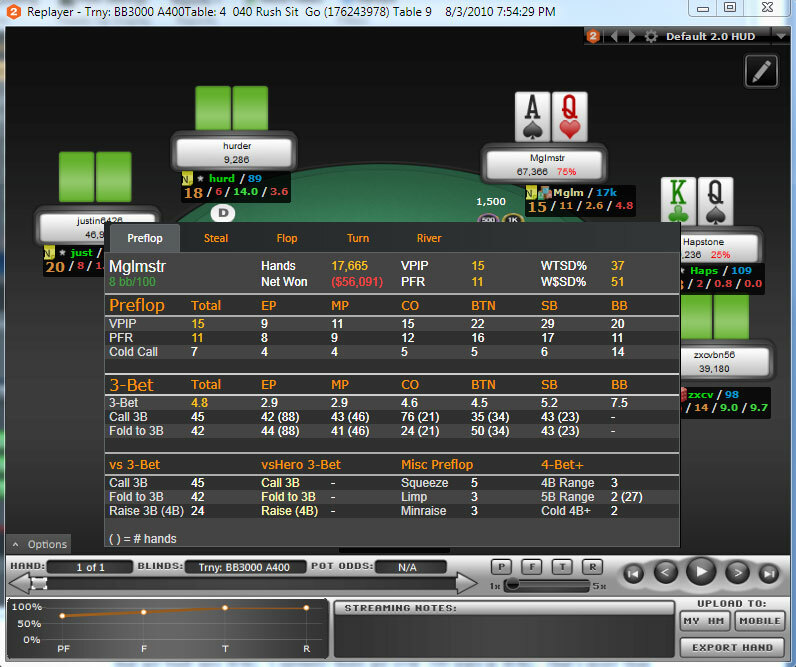 Unfortunately, this HUD only currently works with Pokerstars, but offers a fit for purpose solution, super easy setup and is possibly the most intuitive HUD on the market. Jivaro is designed similarly to a car dashboard speedometer, allowing users to get an overview of the basics, faster and more easily than any other software. 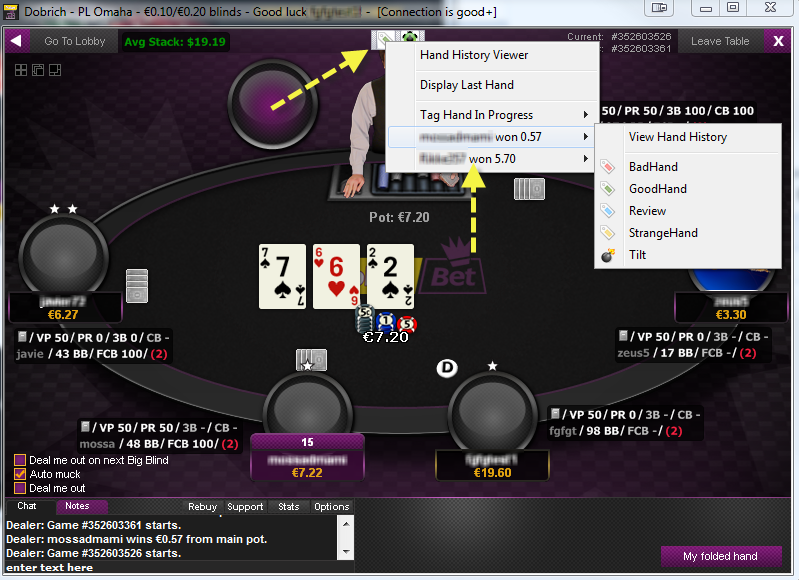 Additionally, it offers hand replay sharing and a poker community. Possibly most impressive, is the fact Jivaro breaks down stats based on your opponent’s position and the street you are on. Experienced players know, that most players play more aggressively on the button vs. how they typically play when sitting in the big blind. Jivaro, allows you to take advantage of this and only shows stats when they are relevant. The same concept is applied to streets, so if your opponent has a tendency to bet on every river, Jivaro will let you know in an easy way and all stats displayed are filtered based on these parameters. Summary: If you have a limited budget or are seeking a completely free solution and play on Pokerstars, then Jivaro is definitely worth a look. However, if you are a more advanced player and require features such as database analysis after your session or if you play on a variety of sites, then you may wish to research other options. 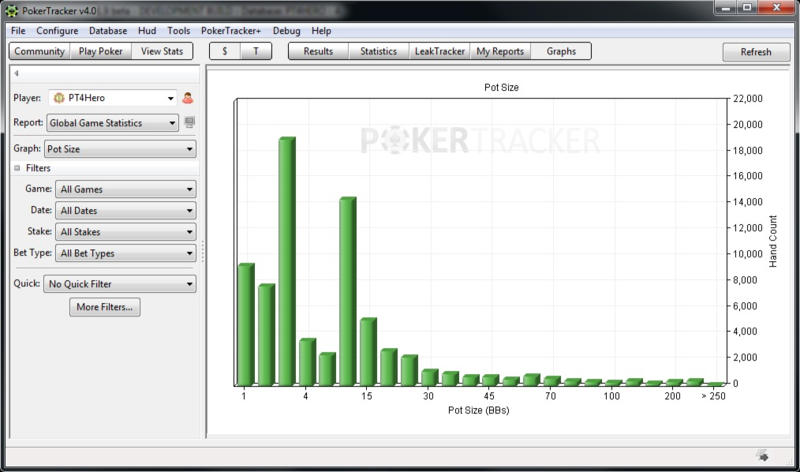 Widely considered to be the market leader, Pokertracker has been on the scene for over 10 years. That’s like a millennium in online poker years! 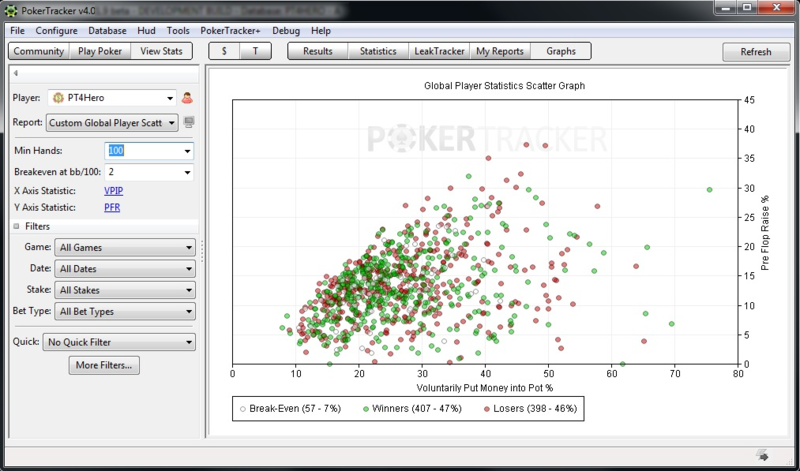 PokerTracker has all the bells and whistles. The HUD is full customisable, and you can choose what stats are shown. 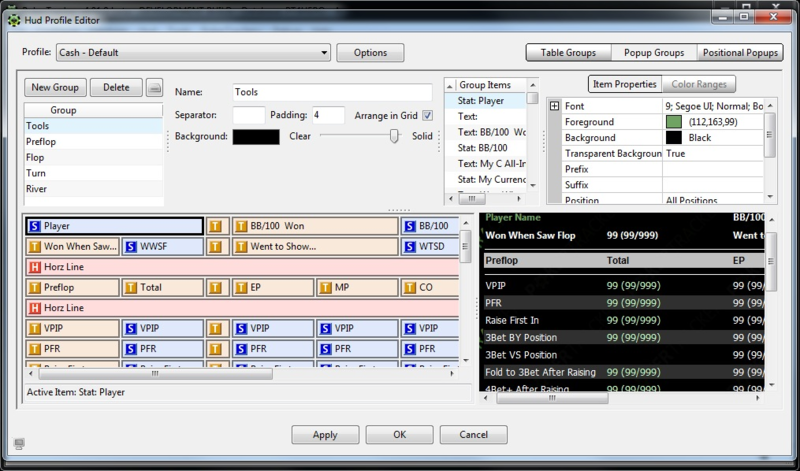 You can view data based on multiple filters and parameters and it works for the vast majority of poker sites. A few of these include; 888, PartyPoker, iPoker Network & Microgaming network. 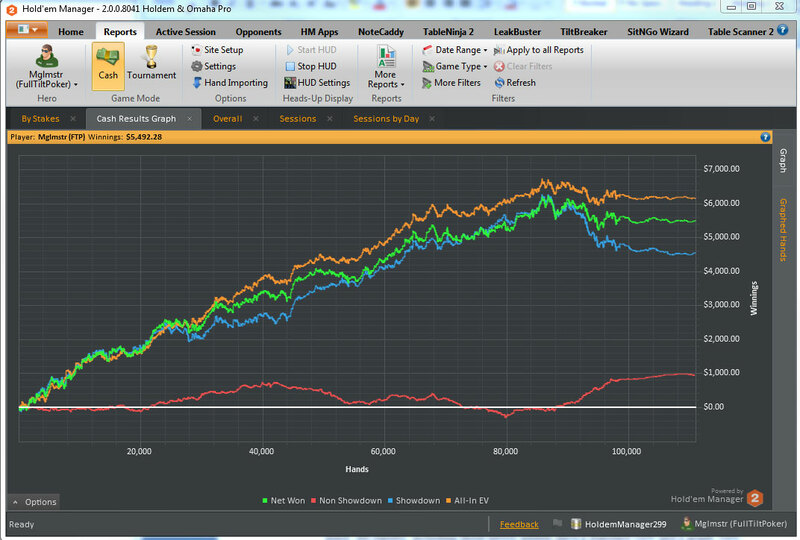 Another advantage of PokerTracker, is that it allows easy hand sharing on the web with the WeakTight hand converter. This site is well worth checking out as it’s a professionally maintained, completely free way to share and analyse poker hands. 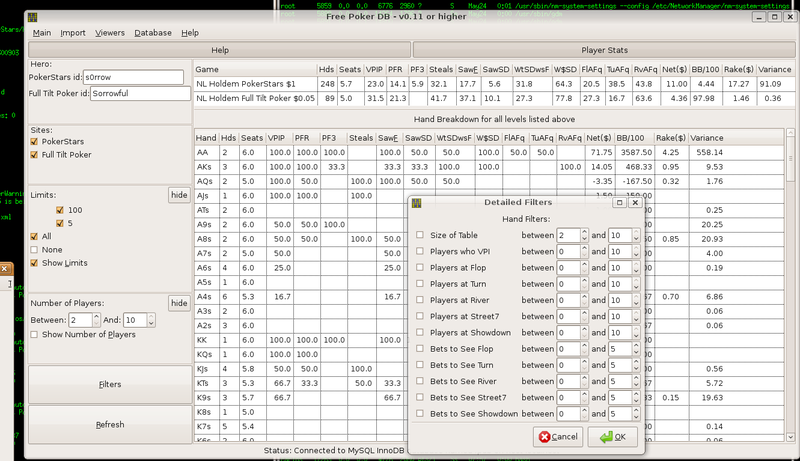 Additionally PokerTracker, works for PLO and integrates with a host of other tools, that increase your edge on the online felt. Even more excitingly it’s Mac compatible! The only other HUDs outlined in this article that can boast this are those that are cloud based, so bravo PokerTracker for this. However, be warned that the setup can be frustrating and cumbersome. If you do not consider yourself particularly tech savvy or have a computer that is average or worse it probably should be avoided. As the software stores its database on your PC, it has been known to significantly decrease the performance of its users’ PCs. 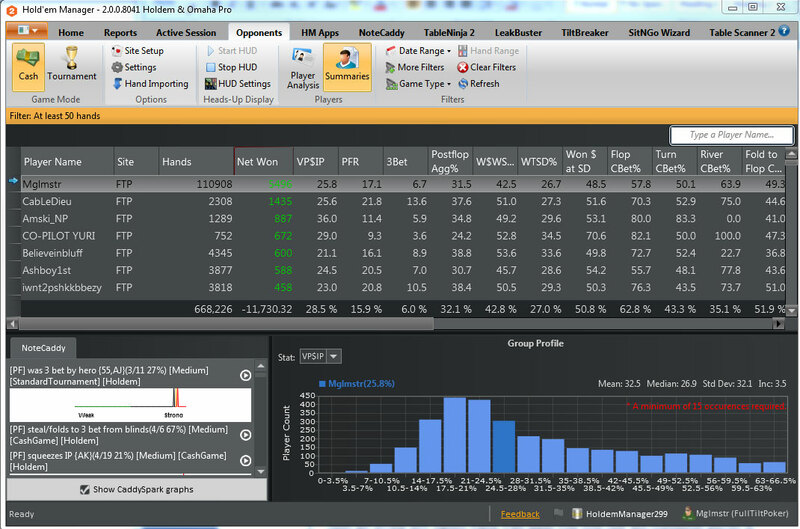 Summary: If you are already an experienced poker player and spending hours analysing data, creating custom stats and so forth, sounds like the kind of thing that you are capable of doing, then PokerTracker might be the solution for you. Like PokerTracker, Hold’em manager has been on the block for some time now and interestingly both the companies merged in August 2014. This move was seen in a negative light by the online poker community as the competition between both these companies was thought to be one of the key factors behind their innovation. With this rivalry gone, many have questioned whether we can expect the same number of updates, improvements and new releases from these companies. At the time of writing, to this author’s knowledge there have been no significant improvements to either items of software. The main differentiation between HEM (Hold’em Manager) and PT (PokerTracker), is that HEM offers a cloud version known as “HM Cloud”. Although it has been in beta for around two years now, it does allay concerns regarding computer performance mentioned above. Like PT, HEM has integration's with a number of apps too. But, overall aside from a different interface, brand and presence of the HM cloud there truly is little significant difference between the two, especially from the point of view of a user who has used neither before. Ironically, once a user becomes used to one of these items of software, they tend to stick with it. Summary: For experienced players. 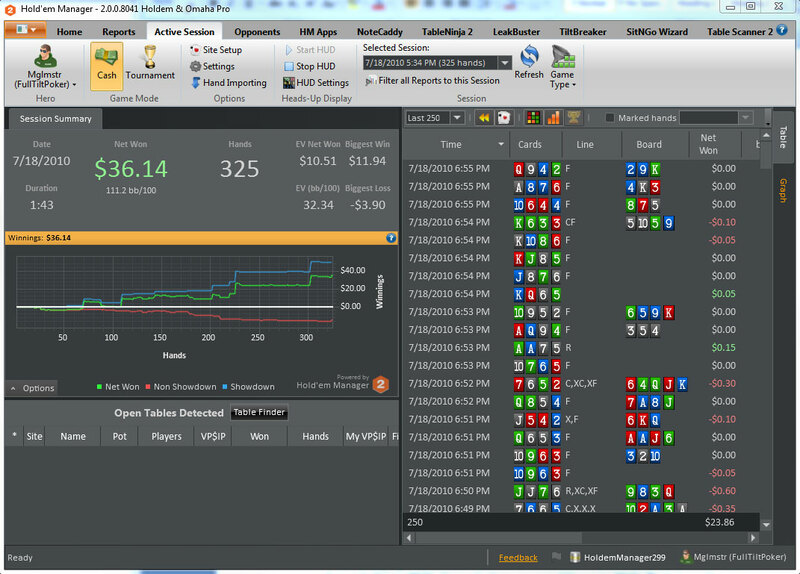 If you want to see something quite different to PokerTracker, then HM Cloud is probably worth the 30 day trial. FreePokerDB is an open source project and as such this means its key creators are not compensated and often dip in and out of the project. In fact, the last update was in August 2014. 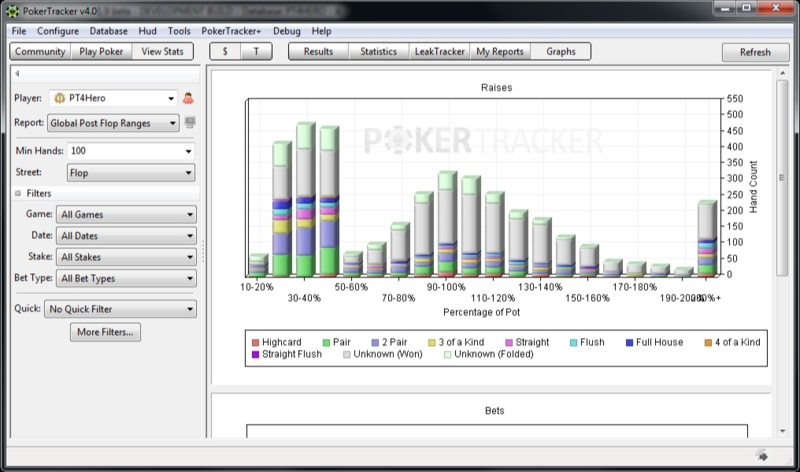 It technically has many of the same features as PokerTracker and has certainly been created in the its vision. However, it lacks some of the polish. Setup is far more time consuming, you will likely find more bugs and you cannot expect a professional level of support. Summary: Despite the fact this author applauds the efforts of the creators and their generosity in contributing their time to such a challenging project, FreePokerDB should only be used by those with a high level of technical knowledge, who are prepared to dedicate a decent amount of time to getting it up and running. An advantage is that it does work with a variety of poker sites, but if the project is not updated in the near future it could well be that compatibility ceases. The app is quite similar to Jivaro, in that there is an emphasis on easy setup, hand sharing and tracking by street. Like Jivaro, PokerCube offers an HTML5 hand replayer and you can even view an example of a high stakes poker hand with Tom Dwan, and other all stars created with their replayer. Unfortunately many of the features outlined in this video are now defunct. Things like challenges, prop bets and so forth. However, PokerCube does offer probably the easiest setup guide and walkthrough. 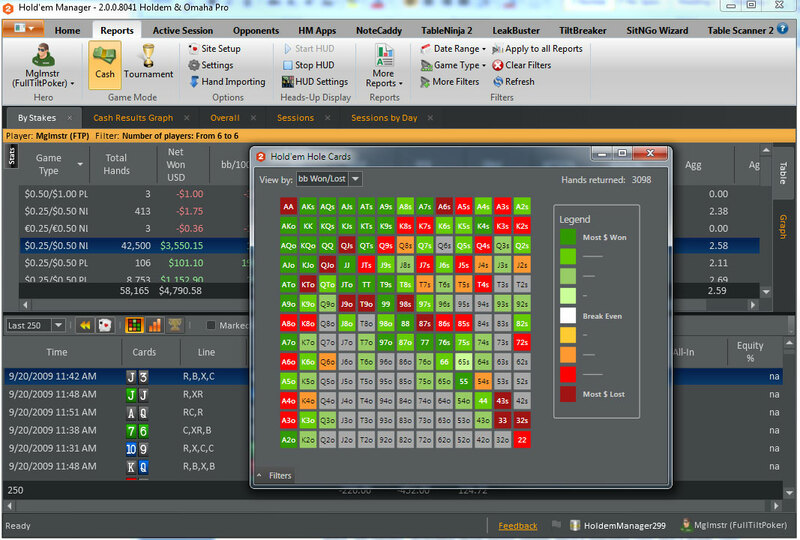 Summary: If you are looking for a basic free HUD and hand tracking software, PokerCube might tick your boxes. The primary reason poker players feel it’s necessary to use HUDs and tracking software, is to gain an edge on their opponents and of course, nobody likes the idea of not having something their opponents have. 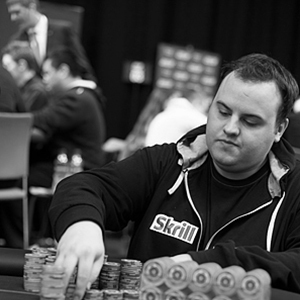 This author believes that Poker HUDs and tracking software are slowly being pushed out of the online poker scene. A number of poker sites such as the microgaming poker network’s BetVictor Poker, SkyPoker and more have an anti HUD policy and it seems many more are following. If all of this seems like too much hassle and you just want an honest, simple game of online poker, you may wish to play on one of these poker rooms, where you know your results will be based on skill, and not what tools your opponents have. 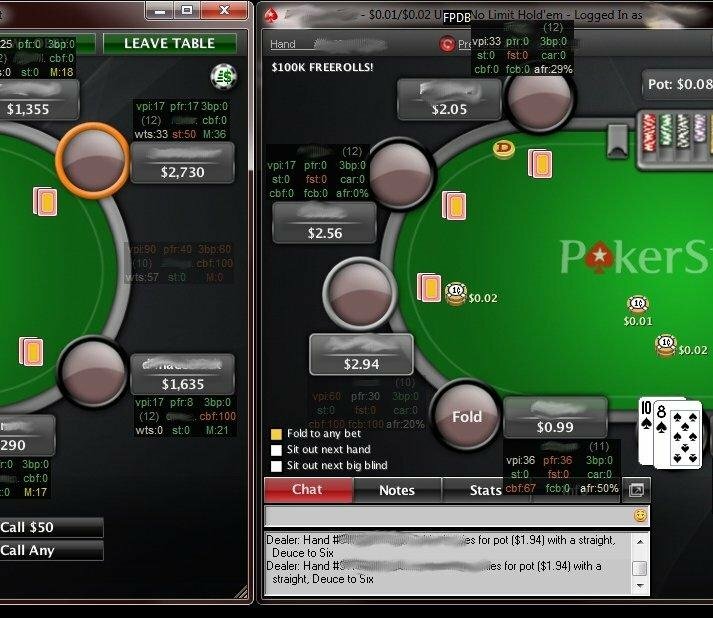 Many industry insiders believe large sites like Full Tilt Poker may outlaw HUDs and the possibility of PokerStars banning them has also been discussed. Consider that a large number of the online poker player pool, now play from tablet or mobile. Is it fair that those on desktop have the use of such tools vs. them? Maybe the future will see poker rooms opt to integrate their own basic level of free HUD for all to use, on all devices and outlaw all others. do we have a hud available for natural8 poker? 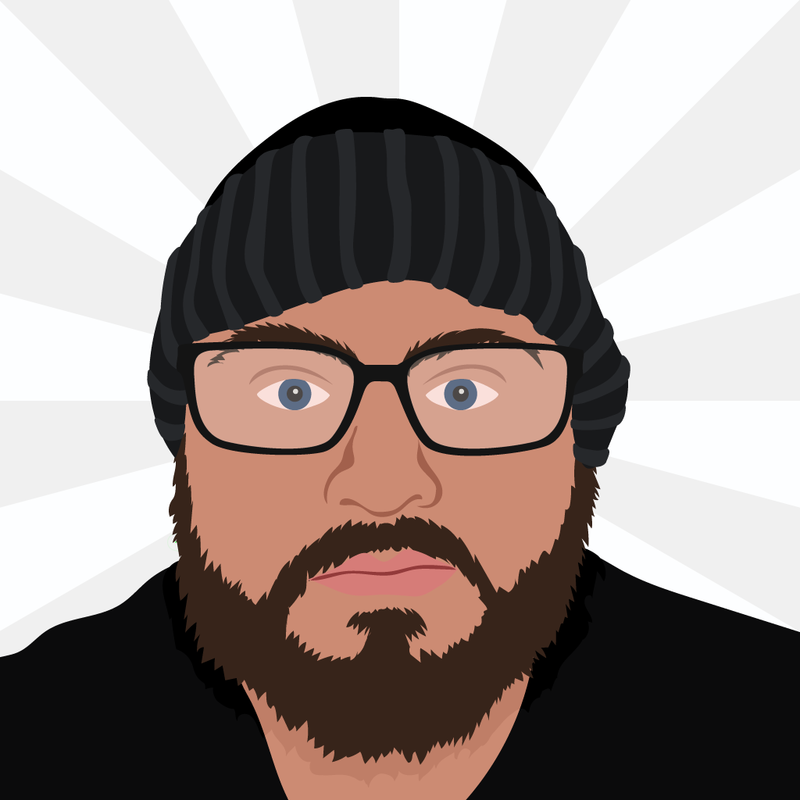 I just got the premium version o Jivaro, and it's awesome. Definitely agree - It's so clean! Are you using it for MTTs or Cash? I would use it > PT4 for MTTs any day of the week. FreePokerDB and PokerCube? You might get a warning, because they are not regularly used items of software, but this does not mean a virus. However, download at your own risk! I don't think you got one from PokerVIP mate. I've run quite a few checks. You can't get a virus from a website, only from downloading a file or allowing something to run on your computer. That's just a fact. So the only way is you got it from the free software, but I've never heard of this before and they run fine for me. Why would you waste your time? Probably because you do not understand how computer's work - I am not saying it is deliberate, but jesus before sounding an alarm and waking up the village maybe check there is a real fire first? I would be surprised if Jivaro doesn't work on Windows 10? If it doesn't now, it will soon :-) I am sure. Yeh they have done a great job with it. I like the way it fits around the players name and avatar.